Bottom brackets can be confusing. There are many types of bottom brackets that fit many different types of frames. The Wheels Manufacturing 386EVO Bottom Bracket is designed for 386EVO frames and works with 30mm cranks. It has machined cups that thread together for added stability and increases bearing life. 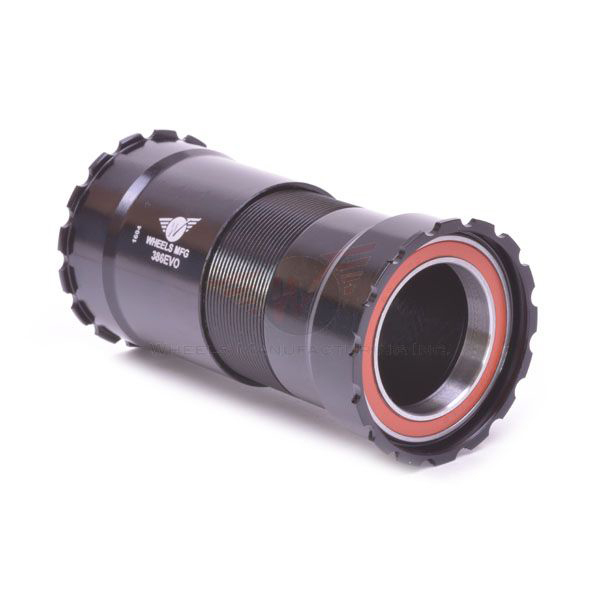 Even though this bottom bracket is designed for 30mm cranks, it will still accept 24mm cranks using an adapter.